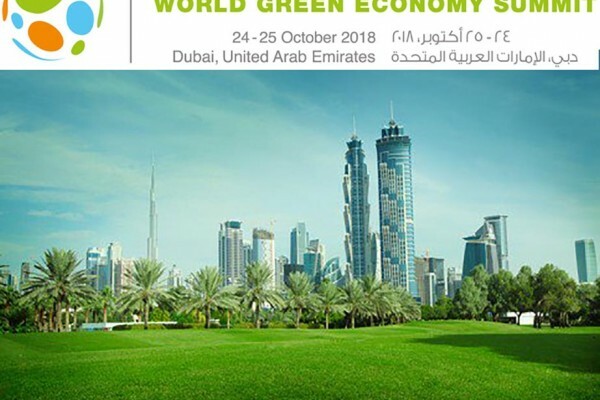 DUBAI, Sep 11 2018 - Green capital will be the focus of discussions at the annual World Green Economy Summit, WGES 2018, amid the global commitments to build a green and sustainable world economy. Green finance refers to the financing of investments that provide environmental benefits in the broader context of environmentally sustainable development. WGES 2018 will host fruitful discussions on how to unlock this capital. With input from governments, businesses, financial institutions and investment advisors, the summit will examine current climate-finance gaps in order to define areas where investments are most needed. It will also shed light on green investment vehicles, climate-change reporting, carbon pricing as an instrument to raise green capital and the widespread problem of greenwashing. Saeed Mohammed Al Tayer, Vice Chairman of the Dubai Supreme Council of Energy in Dubai and Chairman of the WGES, said, “His Highness Sheikh Mohammed bin Rashid has launched a long-term national initiative to build a green economy in the UAE entitled, ‘Green Economy for Sustainable Development,’ by which the UAE aims to be a centre for exporting and re-exporting green technologies and products. His Highness Sheikh Mohammed also launched the Dubai Clean Energy Strategy 2050 aiming to generate seven percent of Dubai’s total power output from clean energy by 2020, 25 percent by 2030 and 75 percent by 2050. “With a growing emphasis of governments and public and private sectors on going green and the rapidly increasing need to find ways to build a sustainable future, green capital is the new trend for innovative financing solutions. While WGES 2018 will outline several green financing options, it will also help participants develop policy frameworks to promote green capital. “The UAE and Dubai, in particular, has always been the front-runner for accelerating green capital, and the Dubai Green Fund, DGF, was created with the aim of catalysing crowding into green economy projects. With an aim to help companies in the private and public sector, invest in green projects such as renewable energy, retrofitting existing fossil fuel-based energy systems, energy efficiency and much more, the DGF’s role is to lead the way into investments that have to date not been taken up by existing operating lenders. This model of investment will serve as a positive influence for institutional investors in the UAE, but also across the world,” Al Tayer added. The DGF raised AED2.4 billion last year to support green financing. The new platform directly invests in environmentally focussed companies, while offering loans to businesses in the green sector at reduced interest rates. “Mobilising sufficient public and private green capital is a key success factor. Accordingly, the DGF was created to crowd-in investors into the green economy. The DGF will not make subsidised financing; ultimately, it needs to attract private-sector institutional investors who seek market-based returns. Its role is to lead the way into investments that have to date not been taken up by existing lenders and private equity firms. Green finance should be the mainstream, not the alternative,” said Samy Ben-Jaafar, CEO of the DGF.